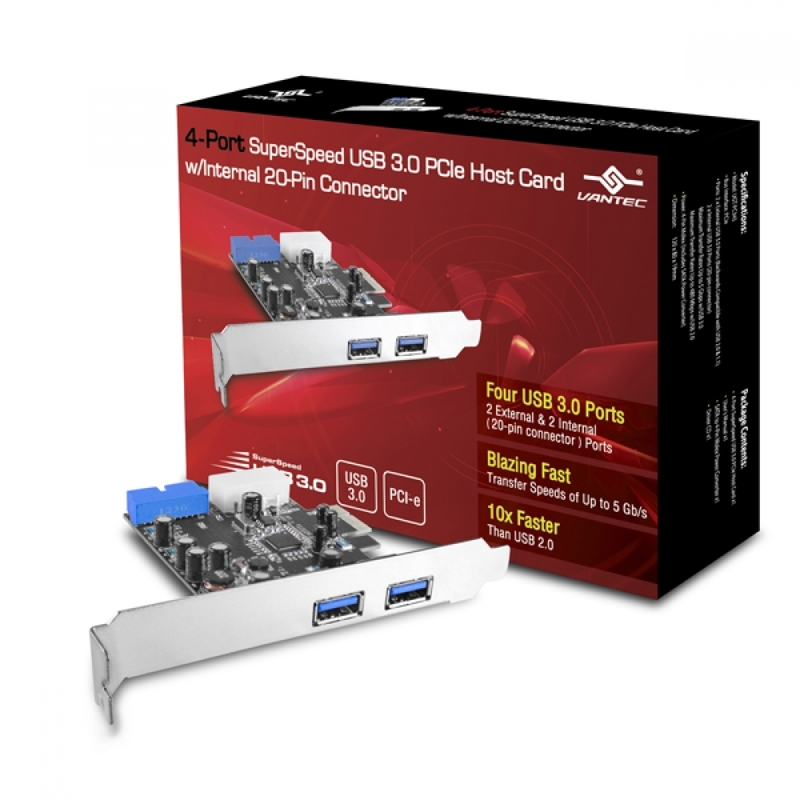 The Vantec 4-Port SuperSpeed USB 3.0 PCIe Host Card upgrades any desktop computer to the newest USB 3.0 standard. Integrated with the latest SuperSpeed USB 3.0 technology, transferring files to an USB 3.0 external hard disk is faster than ever with transfer speeds of up to 5Gbps. 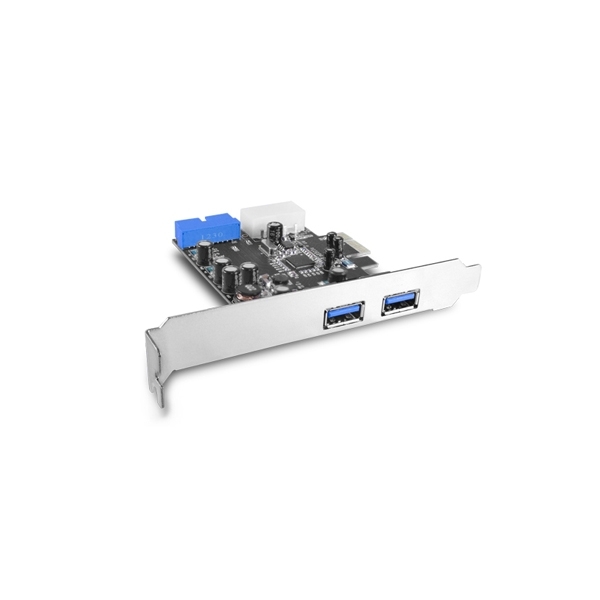 Back up important data such as HD video, high resolution photos to an external USB 3.0 in a fraction amount of time. 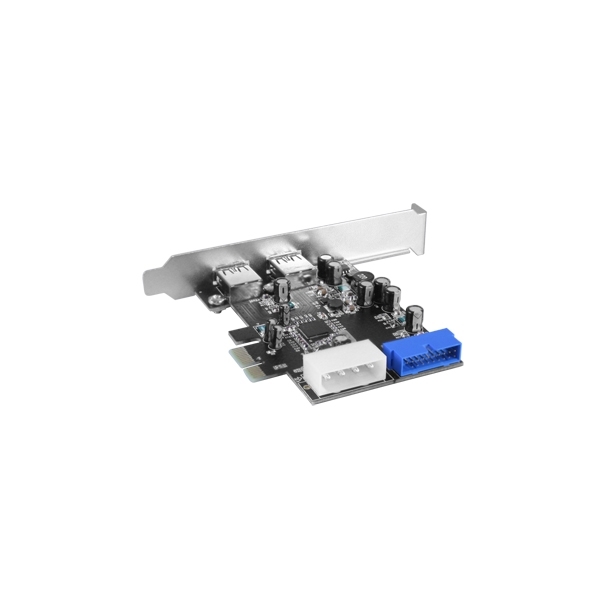 Backwards compatible, the 4-Port SuperSpeed USB 3.0 PCIe Host Card allows the use of USB 2.0 and USB 1.1 devices making this card truly versatile. Upgrading your computer to the newest USB 3.0 technology has never been so easy with the Vantec 4-Port PCIe SuperSpeed USB 3.0 Host Card.